Mr Asheikh’s appointees included Princess Reema bint Bandar bin Sultan, the first woman to head a mixed gender sports federation. Princess Reema, a successful entrepreneur and daughter of former Saudi ambassador to the United States, Prince Bandar bin Sultan, was last year appointed to a Cabinet-level position in sports governance. AMMAN: Palestinian sports officials have claimed they were deceived by FIFA and that the organization’s decision not to sanction Israel for having teams present in the Occupied West Bank was the result of a power struggle within the governing body. On Friday FIFA revealed it would not reprimand Israel, instead de facto legitimizing Israeli action in the occupied territories. The five Israeli football clubs located in the occupied territories violate FIFA laws that stipulate clubs are not allowed to play in another country’s territory without the latter’s permission. The UN informed FIFA that the Israeli clubs were located in occupied Palestinian territories — UN Security Council Resolution 2334, passed in December 2016, also reiterated that the settlements are illegal according to international law and all countries are forbidden from legitimizing them. The FIFA decision came in response to three recommendations made by South Africa’s Tokyo Sexwale, the chairman of the Monitoring Committee set up by former FIFA president Sepp Blatter in May 2015 as a compromise in return for Palestine withdrawing its request to eject Israel from FIFA. A FIFA source told Arab News that Palestinians are the victim of an internal power struggle within football’s governing body. “Ever since the departure of Sepp Blatter, FIFA’s presidency has been weak and easily pressed from one continent to another,” the person said. The source added that there are concerns that Sexwale is likely to receive a high position within a newly established FIFA New Projects development unit. “FIFA has delayed in taking action against the Israel Football Association and its violation of FIFA statutes. Instead of acting, FIFA has continuously delayed and Sexwale is part of this delaying process,” a statement by the National Coalition 4 Palestine said. Jibril Rajoub, the head of the Palestinian Federation, is holding a press conference today to respond to the FIFA decision and outline the legal steps that Palestine will consider. FIFA members have 21 days to initiate a complaint against any of the decisions by the FIFA council. James M. Dorsey, senior fellow at Singapore’s S. Rajaratnam School of International Studies, told Arab News that FIFA’s assertion that it is not going to take a political stand was pure fantasy. “Whatever FIFA asserts, a decision in the Israeli-Palestinian dispute was going to be political. Having said that, FIFA’s decision not to take a stand on clubs of Israeli settlements on occupied territory playing in Israeli leagues constituted a political decision by the organization not to apply its own rules,” he said. And Kirill Dimitriev, the chief executive of the Russian Direct Investment Fund, said Thursday that the fund would put “billions” into bringing sophisticated Russian companies into NEOM. 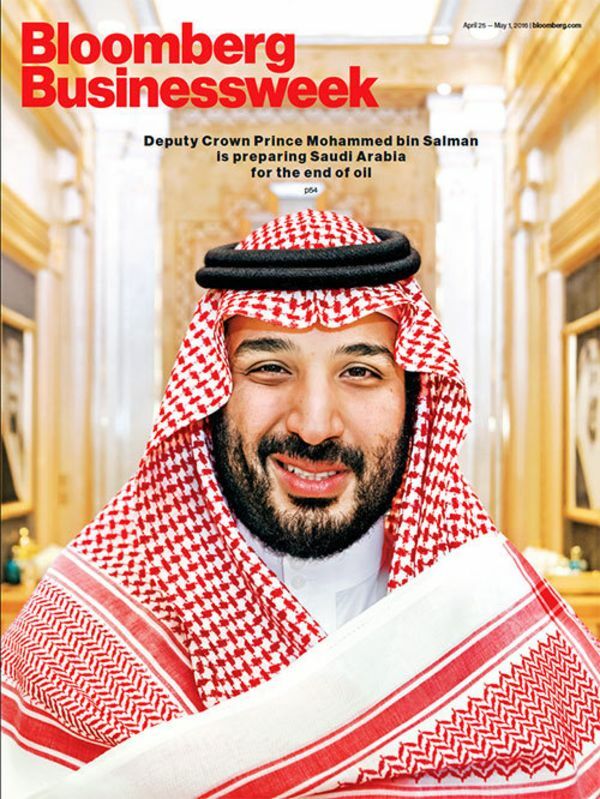 His country received a $10 billion investment as well as its first monarchical visit from the kingdom, when King Salman, Prince Mohammed’s father, went to Moscow this month. “We are very impressed and amazed by the energy that we see in Saudi Arabia by him getting all of the right partners, and we know that many top technology companies are here, willing to invest in this project,” Mr. Dimitriev said. “Right now there’s a great deal of money that leaves the country and goes to different areas,” said Ariel Emanuel, a founder of the talent agency the Endeavor Company, based in Beverly Hills, Calif., which handles sports, television, fashion and other entertainment businesses. Six months ago, he met with Prince Mohammed in Jidda to discuss the kingdom’s vision for the new city. The timing of the promised reforms was however likely determined by Qatar’s need to fend off being penalized by the International Labour Organization (ILO) as well as the almost five month-old Gulf crisis that pits the Gulf state against an alliance led by the United Arab Emirates and Saudi Arabia. The labour reforms would also serve to deflect allegations of wrong doing in the Qatari bid for the World Cup. Nasser Al-Khelaifi, the head of Paris St. Germain and CEO of beIN Media Group, the Al Jazeera television network's sports franchise, became the first Qatari official to be investigated for briberyof a FIFA official in Qatar's bid for the World Cup hosting rights. Mr. Al-Khelaifi was this week grilled by Swiss investigators for seven hours. He has denied any wrong doing. battle for access to stadiums. Mohamed Morsi in July 2013.
International Studies at Singapore's Nanyang Technological University. "Ultras fan groups have a history of clashes with security officers,"
than other protest groups can." Egypt. "Who has the right to access stadiums is the central question,"
the police wants to control it." lifting it to test the waters. Said. The government reinstated the ban afterwards. as a way to "spread chaos". youth gatherings, as authorities want to avoid another 25 January revolution,"
and updating the section with news related to the whole group of Ultras. heightened its ongoing crackdown on Ultras UWK and Al-Ahly. a string of arrests targeting members of Egypt's football fan associations. reference in remembrance of those killed during the 2012 Port Said violence. al-Arab stadium, where most Egyptian teams play in Africa-wide competitions. trying to contain or diminish whatever is left of these groups. arrests in the past couple of years. were categorised as "terrorist organisations" as Egyptian and foreign media reported. He called the court a decision a "political sentence". in Egypt's unrest in 2011.
football, which is now relegated to a middle-class "non-threatening" audience. strongest organisation after the Muslim Brotherhood.